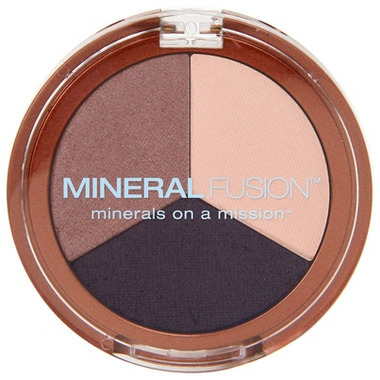 This Mineral Fusion Eye Shadow is in a color coordinated trio of richly pigmented, crease-resistant shades that apply effortlessly, individually or together, to enhance eyes. Pomegranate, Sea Kelp, White Tea and Vitamins C & E in this formula all provide age-defying antioxidant protection, while Aloe Vera soothes and calms skin. Colour Description: An elegant combo of deep matte plum, shimmering taupe, and matte cream. 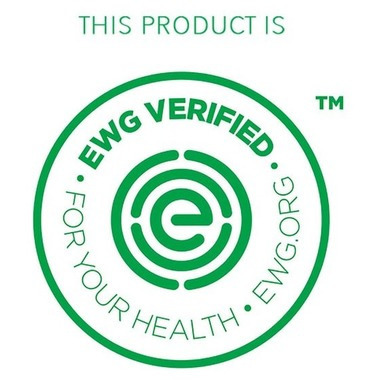 Ingredients: Mica, Octyldodecyl Stearoyl Stearate, Zinc Stearate, Tocopheryl Acetate (Vitamin E), Caprylic/Capric Triglyceride, Ascorbyl Palmitate (Vitamin C), Camellia Sinensis (White Tea) Leaf Extract, Aspalathus Linearis (Rooibos Red Tea) Leaf Extract, Punica Granatum (Pomegranate) Extract, Vitis Vinifera (Grape) Seed Extract, Laminaria Ochroleuca (Sea Kelp) Extract, Aloe Barbadensis (Aloe Vera) Leaf Extract, Lauroyl Lysine, Sambucus Nigra (Elderberry) Fruit Extract, Phenoxyethanol. MAY CONTAIN (+/-): Iron Oxides, Carmine, Chromium Oxide Greens, Ferric Ferrocyanide, Manganese Violet, Titanium Dioxide, Ultramarines, Tin Oxide.